Petrobras is likely to anticipate by 2 or 3 months commercial O&G production at the Tupi pre-salt field.The initial schedule for commercial O&G production at the Tupi pre-salt field held December 31 2010 as the maximum deadline for start-up. The revised schedule calls for commercial production start-up to begin in September or October 2010, anticipating the production by 3 months. This will make it possible for the government to have 2 pre-salt fields in commercial production before the presidential elections, scheduled for November 2010. Commercial production at Tupi is expected to be around 100 million barrels per day (bpd), from 5 production wells to be connected to the BW offshore FPSO Cidade de Angra, currently being adapted at a shipyard in China. According to major Brazilian O&G market sources, the official Brazilian pre-salt area boundaries will have to be expanded due to various pre-salt discoveries beyond presently acknowledged frontiers.Companies such as Petrobras, Repsol, Anadarko and Shell have made important pre-salt discoveries away from the Picanha Azul area where the Tupi field is located and where all the blocks drilled presented commercial hydrocarbon accumulations. Repsol is making history in Brazil with block ES-T-737, where they are drilling to a goal depth of 7,500m (24,606ft). Repsol is hedging on finding oil under the salt layer in an area beyond officially recognized pre-salt boundaries. Petrobras and PGS (Petroleum Geo-Services) announced on June 14th, 2010 in Rio de Janeiro that they have signed an agreement for PGS to install a permanent seismic monitoring system in the Jubarte field in the North Campos Basin, Espirito Santo province, offshore Brazil.PGS will install its OptoSeis fiber-optic system, as well as perform seismic acquisition and data processing for the project. This project is a significant step forward in the use of geophysics for reservoir surveillance, in particular 4D-4C seismic to map the flow of fluids in Brazil's deep water reservoirs. It is hoped that the system will improve the quality and timeliness of information that Petrobras' geophysics team provide their counterparts, reservoir and production engineers, that operate the fields. The new Subsea 7 pipeline manufacturing facility and spoolbase will mainly serve the deepwater pre-salt developments at the Santos Basin. Subsea 7 has been active in Brazil for 15 years and has its main offices in workshop in Niteroi, in the state Rio de Janeiro and a spoolbase close to the city of Ubu in the state of Espirito Santo. Although construction of the new plant and spoolbase hasn´t started yet, Subsea 7 is only waiting for a state environmental license to begin building what is to be named the Paraná Subsea Construction Park. The company will invest $100 million and expects to create 600 direct jobs at the new site. Subsea 7 earned $2,4 billion worldwide and $848 million in Brazil in 2009. Corus Tubes manufactured the thickest UOE 18” ever made especially for deepwater pipes at the Tupi field, in the Santos Basin.Corus Tubes has successfully manufactured 118km of 457mm x 31.75mm Grade X65 sour linepipe for the Petrobras Tupi project. This linepipe is designed to operate in Brazil’s Santos Basin at a depth of 2200m, and is thickest 18” UOE pipe manufactured to date. The design criteria allowed for fatigue and corrosion concerns as well as depth/collapse issues, and this led to the demanding and previously untried thickness to diameter ratio (t/D) of 0.0695. Some innovative steps were taken by Corus Tubes to control pipe shape, a critical element for subsequent laying of the pipe and collapse performance. Aker Solutions do Brasil Ltda. was recently awarded a large subsea contract by Petrobras to supply subsea trees for two of Brazil's pre-salt areas. With this latest contract and the previous contract for subsea trees at the Tupi field, Aker Solutions has secured its presence in all the pre-salt fields presently being developed by Petrobras.Aker Solutions do Brasil Ltda. has signed a frame agreement with Petrobras to supply 40 subsea trees for the Iara and Guará fields, located in the challenging pre-salt area of the Santos basin offshore Brazil. The contract is of approximately USD 300 million. The scope of works includes engineering and manufacturing of 40 vertical subsea trees for 2.500 meter water depths, subsea control systems and 17 complete tool sets. A look at how DP systems work and their importance to ships, vessels and rigs working on offshore O&G operations. The main contribution Kongsberg has made to the offshore O&G industry was by developing DP systems for diving support vessels in the 1970s. This significantly increased the efficiency and safety of diving operations. Since then, the offshore and maritime industries have benefited from the advances made to their DP systems. In more recent years these advances have been applied to the cruise industry with dynamic positioning systems for maneuvering and the complex task of precise position keeping. For optimal deepwater drilling the Kongsberg Riser Management System (RMS) assists in all phases of the drilling operation. With the continued growth and the high potential of the Brazilian O&G market, the demand for Kongsberg DP systems in ships, support vessels, FPSOs and MODUs is steadily increasing and Kongsberg Maritime do Brasil S.A is expanding and enhancing its presence and investments in the country. Kongsberg Maritime AS, has been engaged in various technological areas related to marine activities for more than 50 years and have been present in Brazil since 1980. They are continuously making efforts to develop their products, organization and employees to accommodate client needs. For their Brazilian operation this focus on client needs is being enhanced by increasing their physical presence in Brazil. The FMC research center will be located at the technology center inside the UFRJ campus, which already houses other important international research centers and CENPES research center, owned by Petrobras.FMC will be the fourth major international O&G service provider to establish itself at the UFRJ technology park, joining Schlumberger, Baker Hughes and Halliburton (still in negotiations). Expectation are high that with this great influx of researchers and investments in the UFRJ Technological Park, it will soon become the biggest O&G research center in the world, it is already acknowledged as being at the forefront of deepwater technological research. The future of O&G recovery most likely lies in deepwater reservoirs. Subsea processing opens the door to more cost-efficient developments, especially for long step-outs and, marginal and deepwater fields. Large-scale seabed processing facilities will require a subsea power grid system that is able to operate for long step-outs with total reliability withstanding extreme pressure and temperatures. As technology leader on land-based power grids, Siemens has configured complex power transmissions to suite multiple subsea operations. Siemens also has broad experience with subsea power concept studies as well as experience producing deep-sea transformers and compressors and ten years experience on subsea control and communication. This cost isn´t only in equipment and manpower, it´s in lives, human and animal and destroyed ecosystems which will take at least a decade to recuperate. Safety must always come first. Even with the most reliable equipment and redundancy, there will always be the human factor. Nothing like a full on environmental tragedy to make for a vital attitude change: Safety first, and then all the profit scene. We all know now, that there is no infallible safety measure, well not man proof anyway. Pressure seems to be a wee bit of a problem too. Like the old saying goes: You only knows, when it blows! Well now we know, don´t we? This is the worst case scenario and it could not be correctly simulated. This new pre-salt discovery in the Campos Basin, highlights the potential for new discoveries in both the pre and post salt layers of this mature basin, which up to now has been the main O&G producer in Brazil and until recently was considered by many as not having much more to give in terms of new reservoirs.Petrobras announced the discovery of a new accumulation of light oil (29o API) in the pre-salt layer of the Campos Basin, in water depths of 648 meters at the Marlim field. Marlim is located in the north-eastern part of Campos Basin, in water depths ranging from 648m to 1,050m. It has some 102 production wells and 50 injection wells. Over 80km of rigid pipelines and 400km of flexible lines have been laid on the field. This new ANP discovery is the 2nd largest pre-salt discovery to date in Brazil and highlights the excellent potential of the Brazilian pre-salt.The ultra deepwater well (2-ANP-1-RJS ) was drilled at an area which has been named Franco, it lies 2.189 meters deep and the 4,5 billion barrels of light oil are of around 30º API. The well is located 195km from Rio de Janeiro and 41 km from the Iara pre-salt field, which has a recoverable oil potential of 3 to 4 billion barrels. Both are located at the Santos Basin. The Tupi field, also at the Santos Basin is still the largest discovery to date in Brazil, will a recoverable oil potential of 5 to 8 billion barrels. The Sevan Driller is a one of a kind deepwater and harsh environment driller which has arrived in Brazil and is preparing to start operations for Petrobras in the Campos Basin.Sevan Marine has developed a cylinder shaped floater, suitable for all offshore environments, using their own proprietary technology. Presently, Sevan Marine has four FPSO contracts, including the Goliat Sevan 1000 FPSO, and three drilling contracts with clients. One of their cylindrical FPSOs, the Sevan Piranema is already in operations in Brazil for Petrobras on an 11 year fixed contract with 6 x 1 year options + 5 x 1 year mutually agreed . The FPSO Sevan Piranema has performed with consistently high production uptime levels since its start up in October 2007. The DeepStar project is a joint industry technology development project focused on advancing the technologies to meet its members' deepwater business needs to deliver increased production and reserves. Phase IX is the current phase of the project. The DeepStar project is a joint industry technology development project focused on advancing the technologies to meet its members' deepwater business needs to deliver increased production and reserves. Phase IX is the current phase of the project. DeepStar Phase IX commenced in January 2008 with nine Oil Company Participants. DeepStar participants represent a strong mix of large and mid-size operators, USA and non-USA based, drawing in a rich array of diverse expertise to address common deepwater challenges. 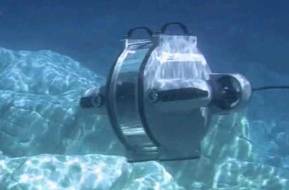 The all-electric intelligent completion system has evolved for deep and ultra deepwater. When the world's first all-electric intelligent completion was installed in a subsea deepwater well in the Campos Basin, it was the culmination of five years of development, testing and trials. System acceptance was mild, but with the improvements that have been made and the vital role this system will have in ultra deepwater plays, its future looks very bright.On Aug. 3, 2003, the world's first subsea, deepwater, all-electric intelligent completion system was installed in the 8-MLS-67HA-RJS well, in 3,540 ft (1,180 m) of water at Marlim Sul field. The well is about 60 miles (100 km) offshore at the Campos basin, Rio de Janeiro, Brazil. The DeepStar project is a joint industry technology development project focused on advancing the technologies to meet its members' deepwater business needs to deliver increased production and reserves. DeepStar is a joint industry technology development project focused on advancing the technologies to meet its members' deepwater business needs to deliver increased production and reserves. The Deepstar project provides a forum and creates and a deepwater continually updates technology databases in key areas of deepwater E&P for its members to access in order to support them in planning and executing deepwater technology development projects .